Hot Bed Press is committed to protecting your privacy and data. We will only use the information we collect from course attendees or Hot Bed Press members, or individuals giving direct consent to be emailed in accordance with the Data Protection Regulations. We will never share your data with third parties and the data we hold is secure and encrypted. 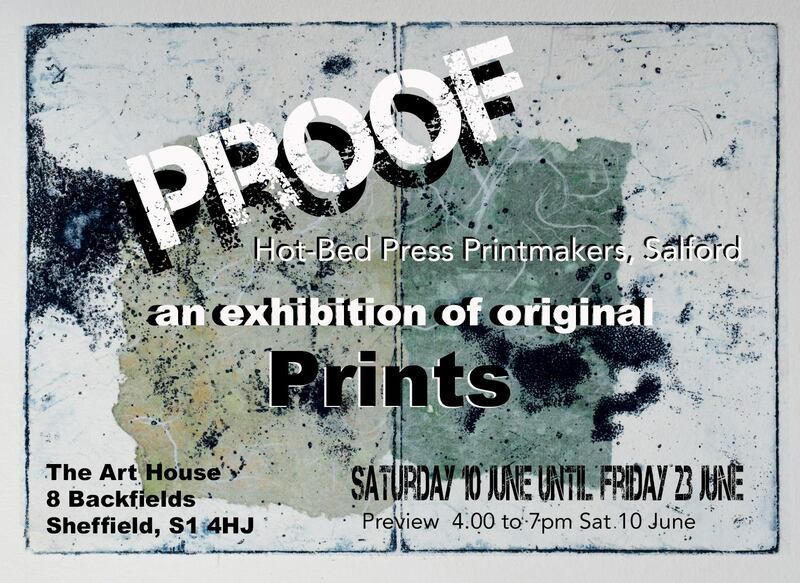 We collect information about you for one reason only, which is to keep you informed about events and information about our printmaking workshop and events. In relation to the new regulations being introduced on the 25th May and because of the way we have built our database of contacts over the years as a membership organisation and educational provider and as we have never bought information or data from a third party, we are taking our lead from the Deputy Information Commissioner, Steve Wood who says “Where you have an existing relationship with customers who have purchased goods or services from you, it may not be necessary to obtain fresh consent. Firms do not need to automatically refresh all existing consents in preparation for the new law.” We consider that the relationship we have with our customers to have been built in this manner and only by individuals requesting to hear from us directly. However, should you choose to unsubscribe from our mailing list we will immediately remove all your data from our database and we guarantee that we will not contact you again unless fresh consent is given. The data we hold will be accurate and up to date. You can check the information that we hold about you at any time by emailing us. If you find any inaccuracies we will delete or correct it promptly. We will never share information about you with any 3rd party either in the European Economic Area or outside this area. If you have any questions or comments about privacy you should contact us. If you want to unsubscribe from our list you can at any time by simply clicking unsubscribe at the bottom of the email and we will immediately remove any data that we hold from our database. Our Complete Courses launch in a couple of weeks, the first session of The Complete Book Artist on Wednesday 31st January and The Complete Letterpress Printer on 1st February. So it’s your final chance to book your place. 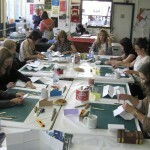 Both courses include a full year’s membership of the organisation plus guest tutors teaching additional printmaking techniques offering the perfect package to really strengthen your skills as a creative practitioner and are taught by two of our finest and skilled tutors. 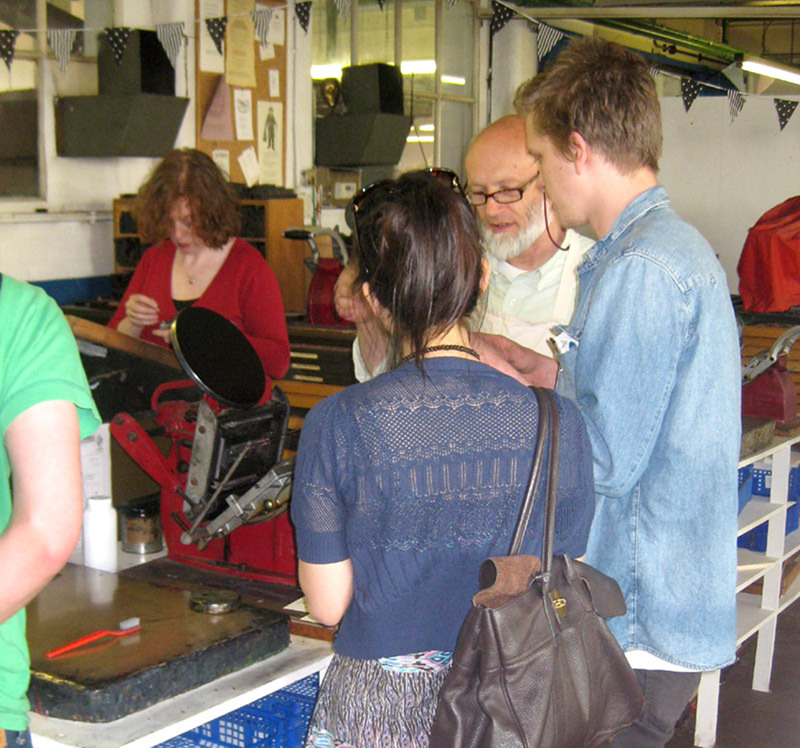 Hot Bed Press Summer courses are now live on the website! We have spiced things up with a mini Summer School at the beginning of August and are really pleased to have Repeat Pattern with Kiran and Mandy and Japanese Woodcut and Box Making combined into one course with Lucy Schofield. Plus we have Extraordinary Ornament bringing the delights of decorative type, Gelatine Printing here for the first time and Copper Sulphate Etching with guest tutor Kate Desforges. There’s also fun to be had in our weekend of Urban Print Club and Gum Arabic Transfer. All this mixed with seasoned favourites back by popular demand. 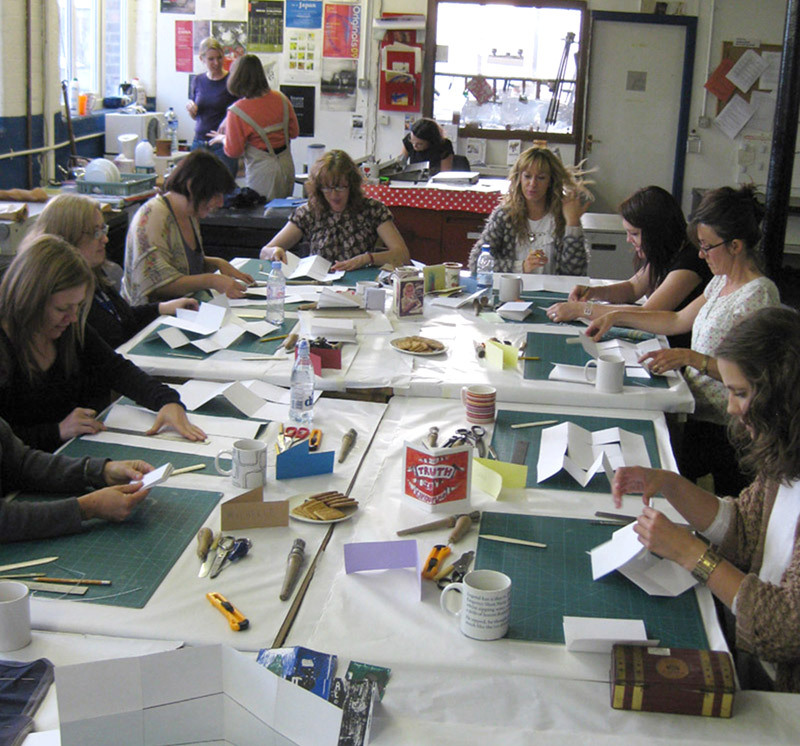 Last season’s courses booked up in record time so don’t delay call the workshop and book today! We have just launched our latest course programme full of special courses, amazing tutors and all run in our fantastic facility. Running from 1st April through to 25th June we have tried to put something on to suit the tastes and needs of everyone. So whether you are new to printmaking or in need of a refresher and a bit of expert knowledge and inspiration this is the place for you. Our courses are very popular, so much so that we often run extra courses to meet demand. With courses such as Reduction Screenprint, Caustic Lino, Photo-etching, Building Books, Japanese Woodblock Printing and Adventures in Wooden Type it is a veritable feast of courses suitable for everyone. Now that we have bought our, rather large, building we are also able to plan for improving our equipment and workshop space. Over the next few months we aim to expand the workshop and to buy new equipment and make improvements that will really start to transform Hot Bed Press. Go to the courses section of our website for more. But please beware that courses book up so quickly that it’s best to get in touch straight away. Don’t delay, do it today! We are really excited to be running our year-long course in Book Arts in 2017. Run over 2 terms of 15 weeks this course is aimed at artists looking to explore and develop ideas through the form of the artists’ book. 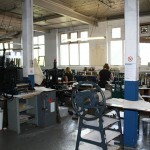 The course is not accredited, but students will ‘graduate’ with a Hot Bed Press certificate in Book Arts. Throughout the 30 weeks you will develop knowledge of materials and techniques and will learn how to make a variety of book structures. These range from simple yet fascinating structures to more challenging multi-section hard-bound books. You will also learn how to make a beautiful clam-shell portfolio box to house some of the great books you have made on the course. As well as equipping you with technical knowledge, the course will challenge you to explore narrative, sequencing, text & image, the relationship between form and content and how you can use the book form to interrogate and push your own practice and ideas. Recent students from the course have developed the skills and confidence to make editions that have been exhibited and sold at both Liverpool and Manchester Artists’ Book Fair. 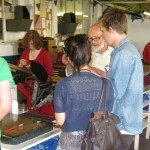 The course will also bring in a number of guest tutors to give hands-on introductions to various non-digital printing methods, including risograph, mono printing, letterpress, silk-screen and relief printing to help you develop and realise the ideas that connect the form and content of your books. All students wanting more than 4 hours access per week will also be able to ‘top-up’ their hours with usage in the workshop. Her books and installation work often involve domestic objects and (fictional) collections, exploring their narrative possibilities. Sylvia’s books have been exhibited internationally and her publications are held in private and public collections in the UK, Denmark, Hungary, Australia and the US. Since the course started back in 2014, CBA students have exhibited collectively at Liverpool and Manchester Art Book Fair. Some students have also developed their practice to exhibit work independently at book fairs in Leeds, Newcastle, Bristol, London and even in Norway. The 2015 class still meet regularly and continue to work on collaborative book projects. 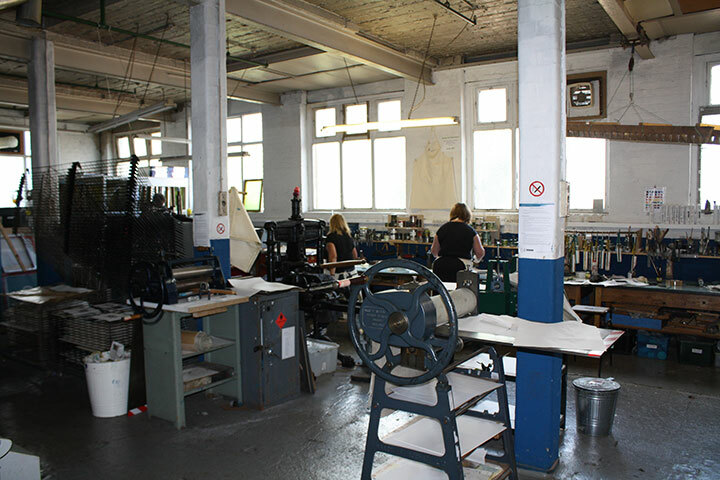 A number of students have gone on to study the Complete Printmaker and Complete Letterpress Printer courses continuing to expand their skills and practice. is a great, patient and kind teacher/mentor. You can secure a place on the course by making a deposit of £300.00 (This can be paid in installments if needed) Then payments are made by standing order monthly throughout 2017 from Feb to October 2017. Call the workshop to book your place!